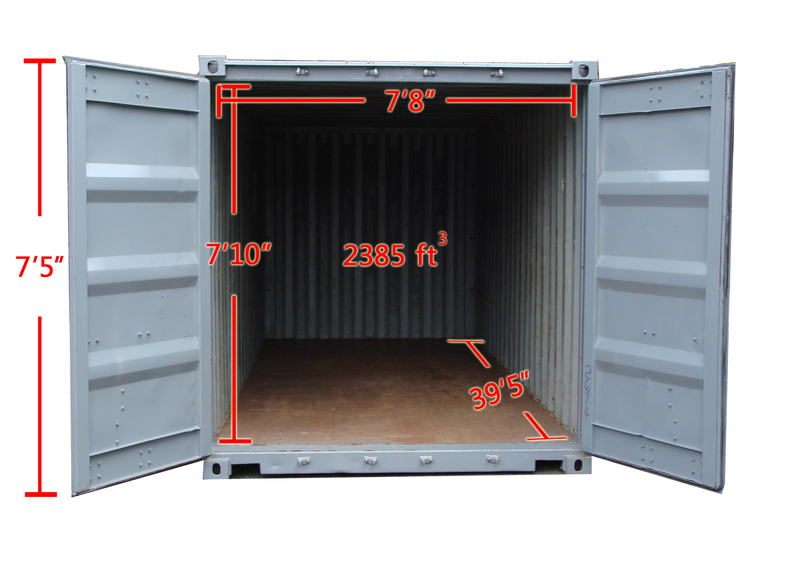 The 40ft ground-level storage container is the perfect unit for larger needs – especially since it’s the most cost-effective storage solution on a per square foot basis. 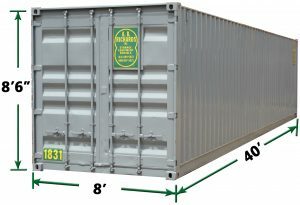 Thanks to its flexible size, price and durability, our wholesaler, manufacturing and larger retail customers have made this portable storage container a standard for industrial storage. A.B. 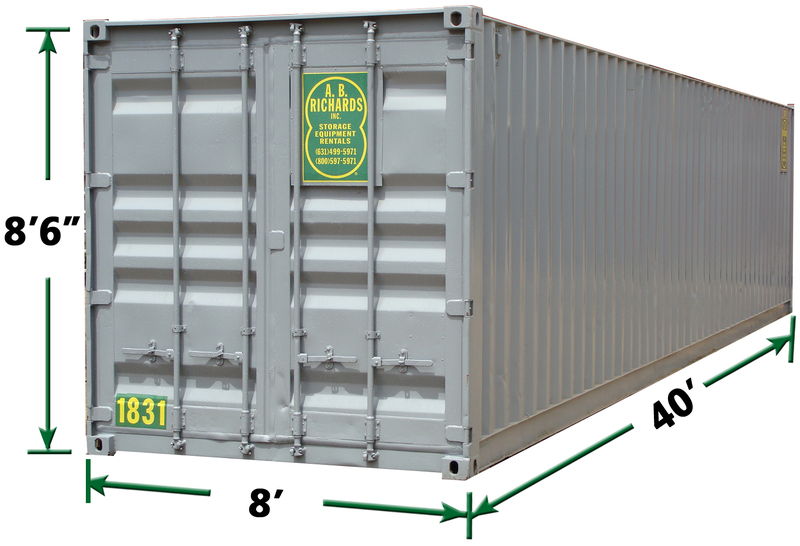 Richards’ 40ft storage containers are made of highly durable 14-gauge steel and its 1 3/8” hardwood floors can support a maximum gross weight of 67,200 lbs. 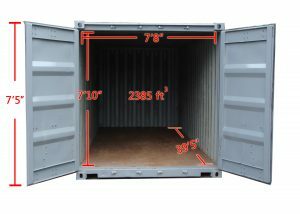 Two large doors on one end allow for easy, ground level loading. Weather resistant and lockable, finished in a neutral gray color to fit in most surroundings. Call A.B. Richards at (877) 208-8253 for all of your on-site storage needs or fill out our convenient online contact form. We look forward to helping you.